Experience a refreshing cleanse with La Roche-Posay Effaclar Micellar Water, a gentle yet effective face cleanser that contains micelles to eliminate dirt and impurities from skin. Effectively cleansing the skin of dirt and grime, including microscopic pollution particles you can't see, the micellar cleanser contains micelles which attract dirt like a magnet to eliminate dulling impurities from the complexion. 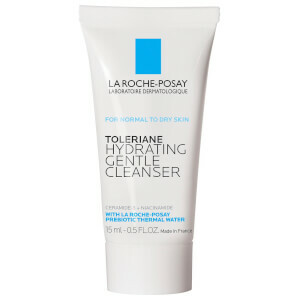 Formulated with La Roche-Posay Thermal Spring Water, a naturally mineral-rich water with powerful antioxidant properties (sourced from a 1700 year-old spring at the heart of a Medieval French village). After use, skin feels balanced and purified. Apply to a cotton pad and gently wipe face, eyes, and lips. Repeat until cotton pad looks clean and no need to rinse.